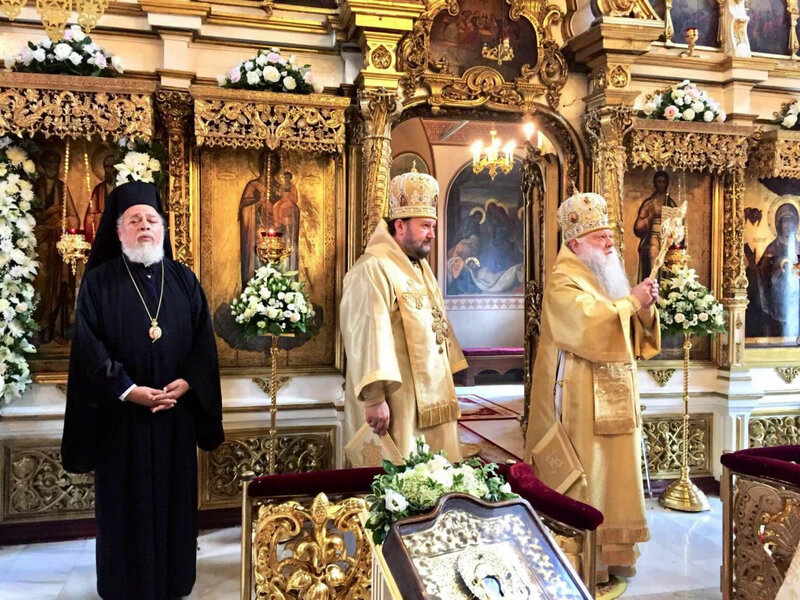 On Thursday, July 12, 2018, the day of the Chief Apostles SS Peter and Paul, the podvorie [metochion] of the Serbian Orthodox Church in Moscow dedicated to the saints marked its feast day. 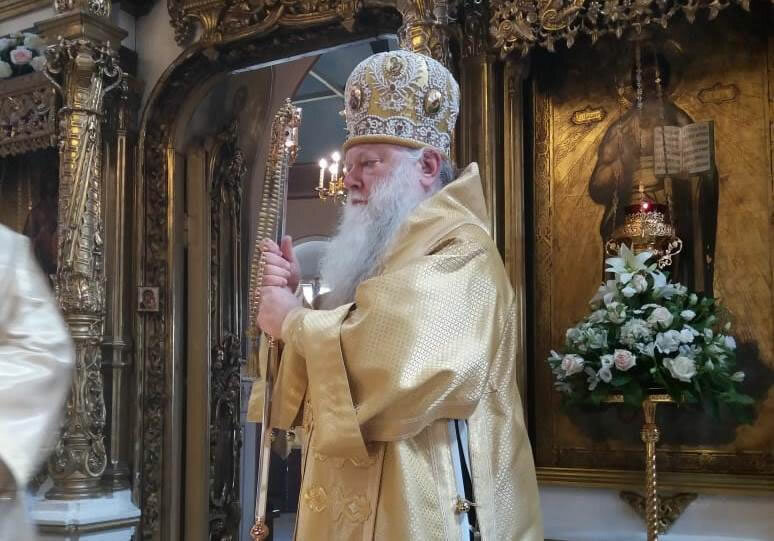 Divine Liturgy was headed by His Eminence Archbishop Peter of Chicago and Mid-America and His Grace Bishop Antony of Moravic, Representative of the Patriarch of Serbia to the Patriarch of Moscow. 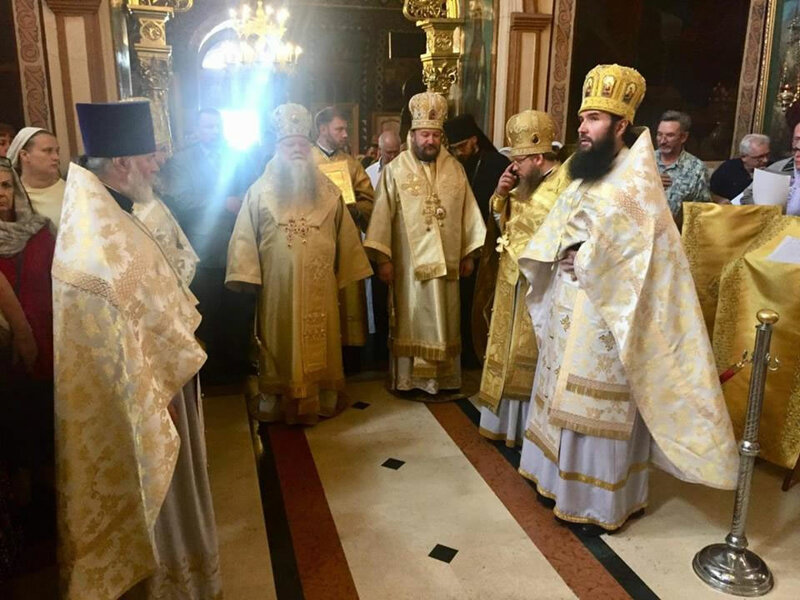 Joining the hierarchs was Protopriest Nikolai Balashov, Vice President of the Department of External Church Relations of the Moscow Patriarchate, Archimandrite Serafim (Shemyatovsky), Representative of the Orthodox Church of the Czech Lands and Slovakia to the Patriarch of Moscow; Protopriest Daniel Andreyuk, Representative of the Orthodox Church in America to the Patriarch of Moscow, and Protopriest Andrei Novikov and the church’s clergymen. Mr Slavenko Tersic, Extraordinary and Plenipotentiary Ambassador of Serbia to the Russian Federation, was in attendance. 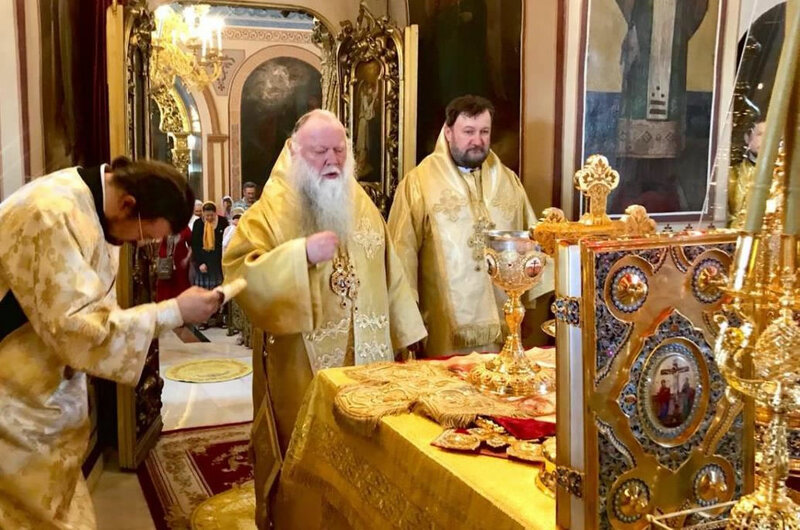 A moleben was performed after Liturgy followed by a procession of the cross, attended by His Eminence Metropolitan Niphon of Philippopolis, Representative of the Patriarch of Antioch to the Patriarch of Russia, after which Bishop Antony congratulated the worshipers. 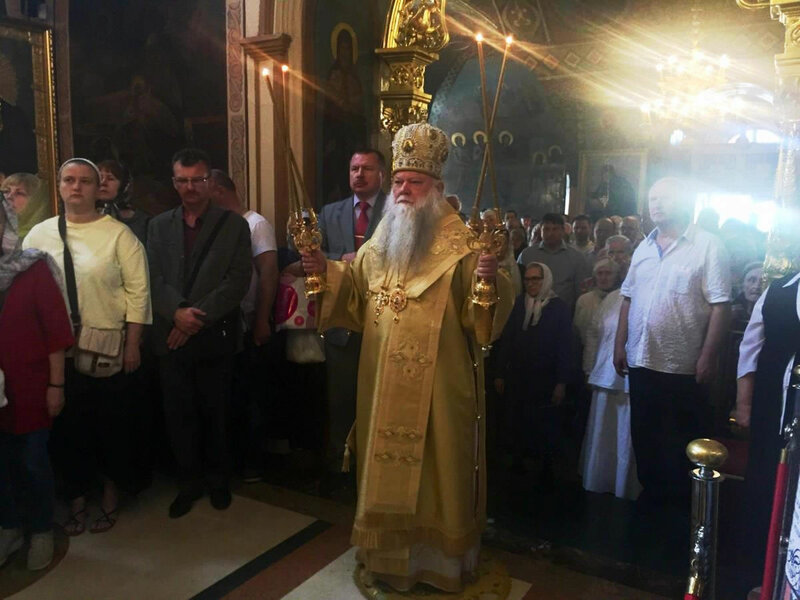 Vladyka Antony then delivered a sermon on Apostles Peter and paul. 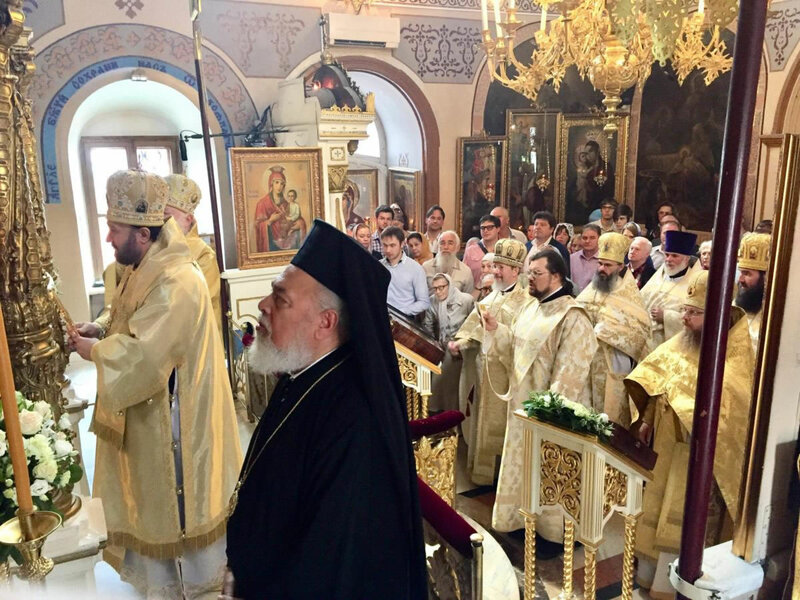 He congratulated Archbishop Peter on the 15th anniversary of his consecration to the episcopacy and gave him a panaghia and embroidered icon of SS Peter and Paul. 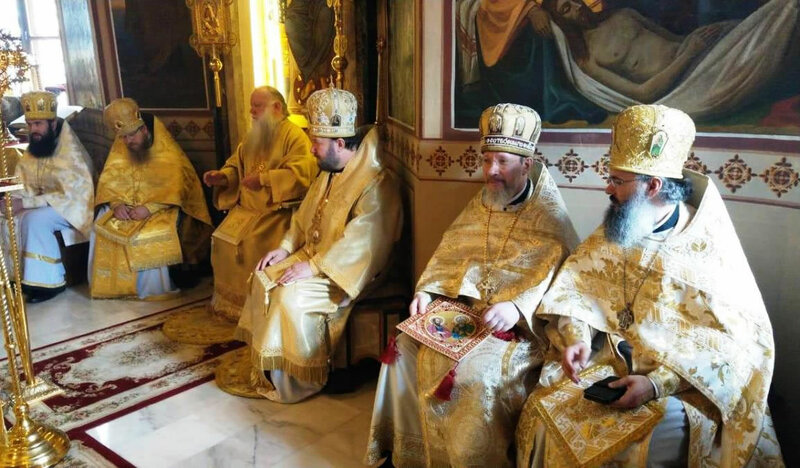 In his response, Vladyka Peter expressed his gratitude for the opportunity to celebrate Divine Liturgy at the church, which bears witness to the unity of the Local Orthodox Churches. He also reminded the faithful of the importance of the example exhibited by the lives of the Royal Passion-Bearers and called upon everyone to join the prayer of July 17, the centenary of the martyrdom of the Royal Family. 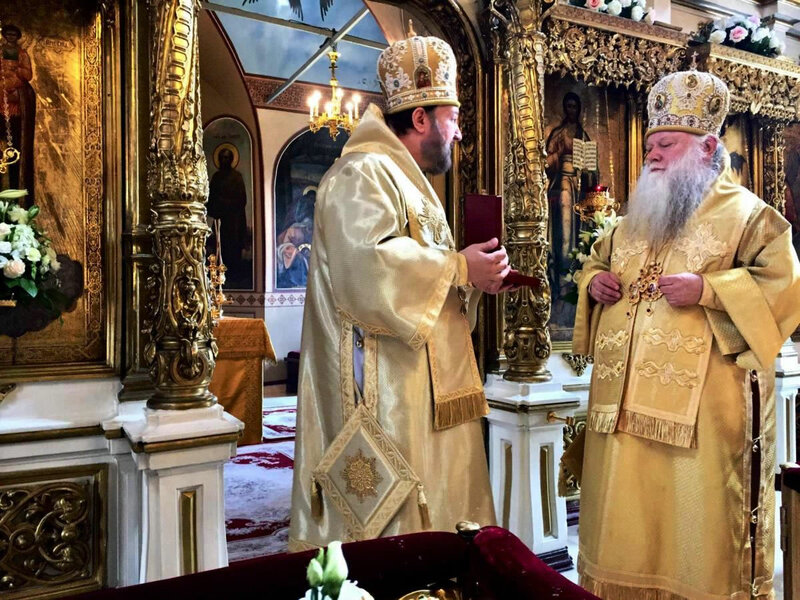 Fr Nikolai greeted the Rector of the metochion on behalf of His Eminence Metropolitan Ilarion of Volokolamsk, President of the DECR, and noted the importance of Moscow as the city where the joint prayer of representatives of the Local Orthodox Churches is not a rare occurance but an important part of church life, which spiritually enriches Orthodox Christian Muscovites.